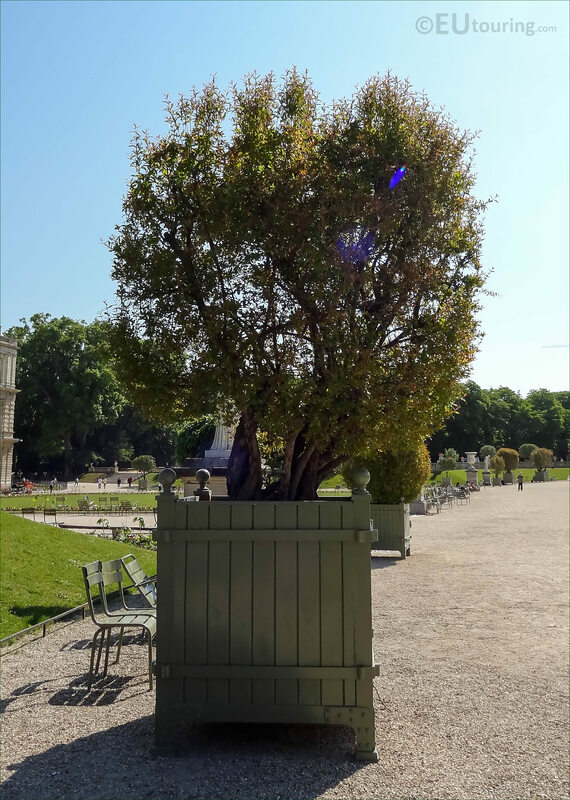 If you are visiting the popular tourist attraction of the Jardin du luxembourg with its majestic palace during the warmer months, you will also get to see numerous different trees and bushes in green crates, like you can see in this first HD photo. 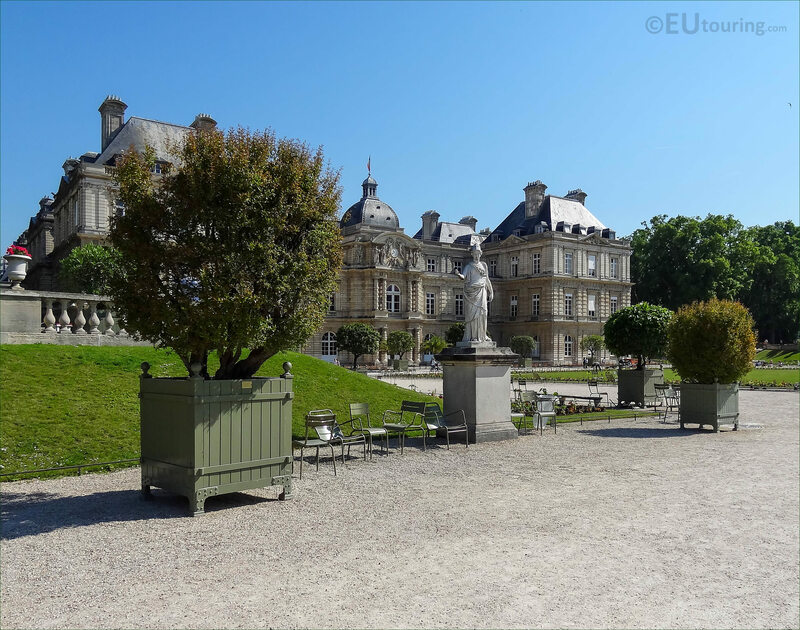 You will find that virtually every former royal garden has an orangery, spelt orangerie in French, and still used for its original purpose within the Luxembourg gardens, all the oak panelled wooden crates, or pots holding specific types of tree such as orange and pomegranate are kept inside the orangery from October through to May, until they are moved outside for the warmer months. 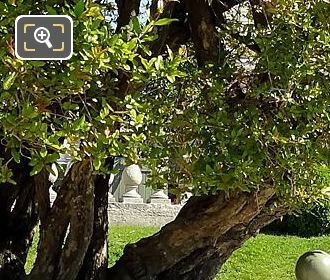 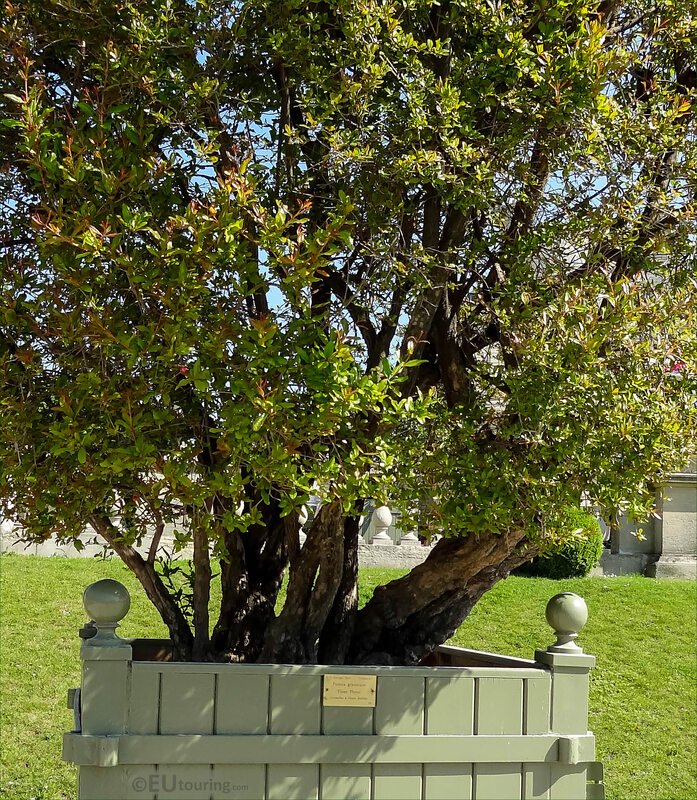 Unfortunately, this photo has a couple of sun flares, but we had to include this showing the full tree, which is actually a Pomegranate, that has a botanical name of Punica Granatum Flore Pleno, and this was positioned in the formal central area of the gardens close to the Grand Basin. 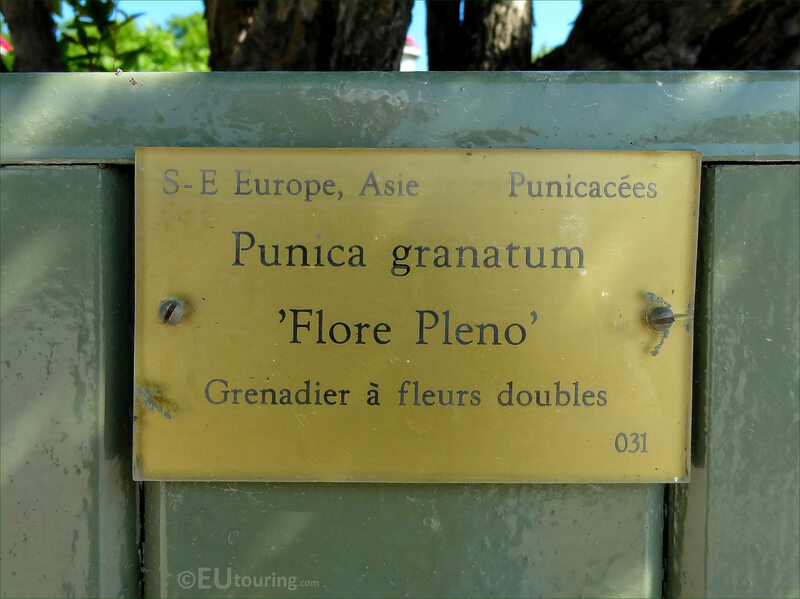 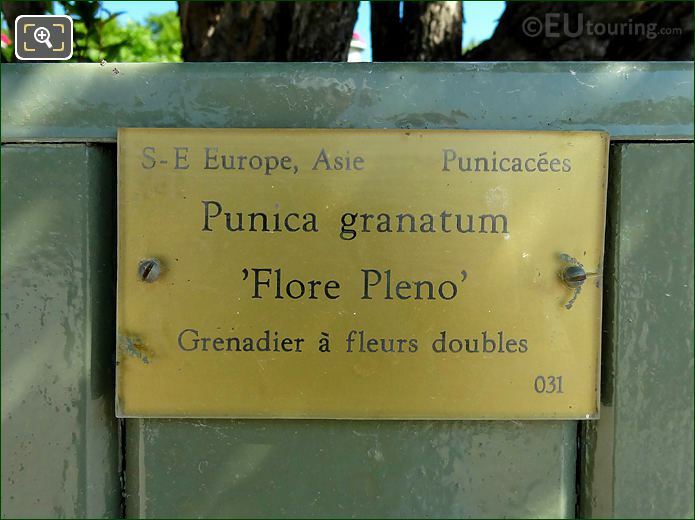 But this next image shows the tourist information plaque fixed to the pot numbered 31, and as you can see it states that the Pomegranate tree is mainly found in south east Europe and Asia, and this is actually a double flower pomegranate of the Grenadier variety.